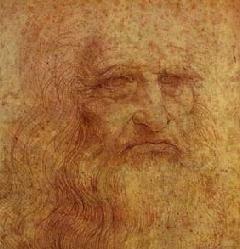 Books about Leonardo Da Vinci and The Da Vinci Code, riddles, anagrams and logic puzzles. 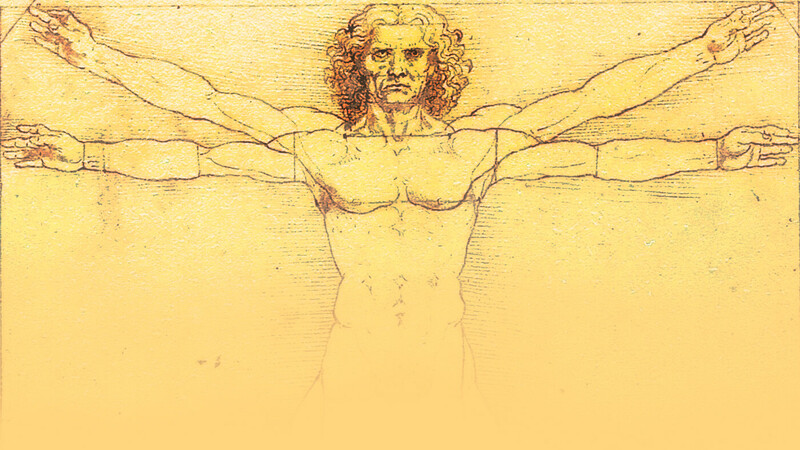 Leonardo Da Vinci has had a tremendous influence on the popular books of today and has inspired this game, with his love of symbolism and the humour he often displayed in creating hidden meanings in great works of art. The mystery that surrounds the life of the man himself is also a source of intrigue and fascination. The books below all refer to puzzles and puzzle solving, coming from fun and games, real life treasure hunts and fictional treasure hunts with a range of riddles and conundrums to guide you. 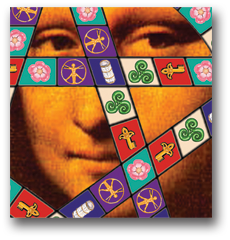 The links below take you to Amazon.co.uk or to websites associated with the book mentioned, or click here for more books about Leonardo Da Vinci and Books on the Da Vinci Mystery - including information and reviews of books about The Da Vinci Code and Rennes-le-Chateau. Oxford Guide to Word Games Full of splendid inconsequential fun such as the fact that "synthetic cream" is an anagram of Manchester City. It mixes historical and etymological information on the whole world of word puzzles with delightful, lighthearted examples and descriptive text. Leonardo: The Artist and the Man by Serge Bramly, translated by Sian Reynolds provides fascinating insights into the life that Leonardo Da Vinci led, how he was educated and what influenced his paintings, including his use of symbolism and hidden meanings, as well as providing a narrative which allows the reader to really imagine the events which occurred during Leonardo's life. Key to the Sacred Pattern The Untold Story of Rennes-le-Chateau by Henry Lincoln begins with a mystery of a village priest, Berenger Sauniere becoming suddenly and unexplainably wealthy and develops into a mystery concealed within the very landscape itself. Holy Blood, Holy Grail by Michael Baigent, Richard Leigh and Henry Lincoln is thoroughly researched and provides an alternative perspective on the Cathar Knights, the Priory de Sion and the Holy Grail. It also includes biographical information on Leonardo Da Vinci and states that he was one of the Grand Masters of the Priory de Sion, an ancient secret society. 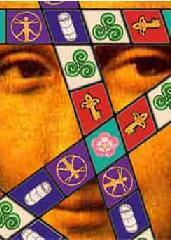 The Da Vinci Code by Dan Brown. A novel where Robert Langdon, a Harvard symbologist and Sophie Neveu, a French cryptologist have to solve a murder mystery and in the process discover a far older mystery involving Jesus Christ, Mary Magdalene, the Holy Grail and the Priory of Sion. While the story is fictional, Dan Brown has drawn information from a variety of sources, including Holy Blood, Holy Grail for the bigger mystery. Cracking the Da Vinci Code by Simon Cox. An unauthorized guide to the facts behind the fiction and examines how much of the novel is true and how much is simply fiction in a convenient A-Z format. Simon has also looked into the background research for The Da Vinci Code and for example, points out that the character Leigh Teabing is an amalgam of Leigh and an anagram of Baigent, two of the authors of Holy Blood, Holy Grail. This book really elaborates on hidden symbolism both Leonardo Da Vinci's paintings and the fictional story by Dan Brown. The Herder Dictionary of Symbols: Symbols from Art, Archaeology, Literature and Religion by Boris Matthews is a compact book crammed full of information on the origin and meanings of numerous symbols.